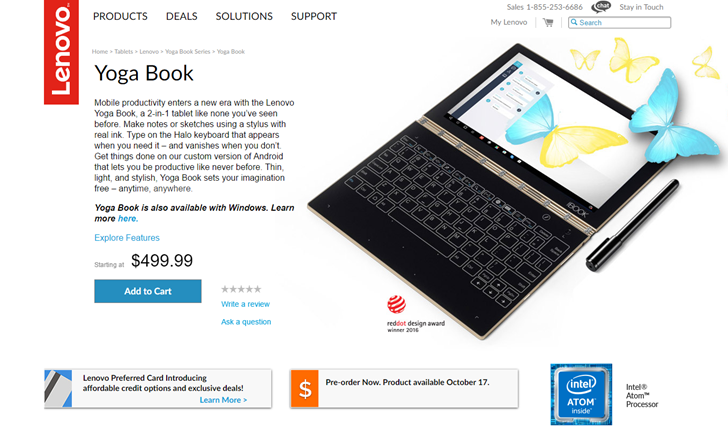 The Android version of the Yoga Book tablet is going for $499.99 from Lenovo's online store, with availability scheduled for October 17th. Five Benjamins get you a 10-inch 1920x1200 display, 4GB of RAM, 64GB of storage, and an Intel Atom 2.4GHz processor. The tablet is running Android 6.0, though the form factor will require quite a bit of extra software. The design has a single USB port and a mini-HDMI port, plus a webcam of unknown resolution. Lenovo says the two-cell battery will last up to 13 hours on a charge... which seems optimistic. 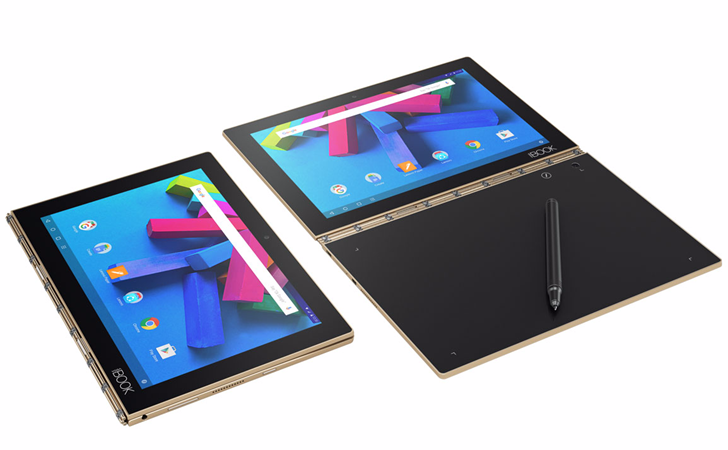 A 2048-level stylus is included, and the Yoga Book comes in black, grey, or gold color options. The keyboard-graphics tablet combo is the star of the show here, and should be particularly interesting to anyone who wants to draw or design on their tablet. It's even possible to lay down standard paper on top of it and draw "through" to save a digital copy. When in keyboard mode, the permenant backlight activates along with haptic feedback and spelling correction for more accurate typing. That being said, Android's limited utility for media creation apps - not to mention Lenovo's dubious reputation for Android software - might be a reason to upgrade to the Windows version, which shares most of the core features and specs. The sole Windows 10 model available at launch will cost $550, and it's also set for an October 17th release.